I think far too often we lose sight of wine, beer or liquor as simply being a beverage, albeit a fun and tasty one most of the time. You can spend thousands of dollars on a wine and end up with corked vinegar or find something palatable in a sub ten-dollar price point. There is some thrill to opening a vintage expensive bottle, but if it doesn’t blow your socks off it’s much more satisfying to have an inexpensive bottle to accompany the meal. Often with work we spend above average amounts on wine with dinner, but when you come home that philosophy is out the door and the bargain is what we are after. I remember once being at Ruth’s Chris and having the house Cabernet. It was very tasty so we decided to have another round. 4 glasses at $9 per glass or 36 beans. 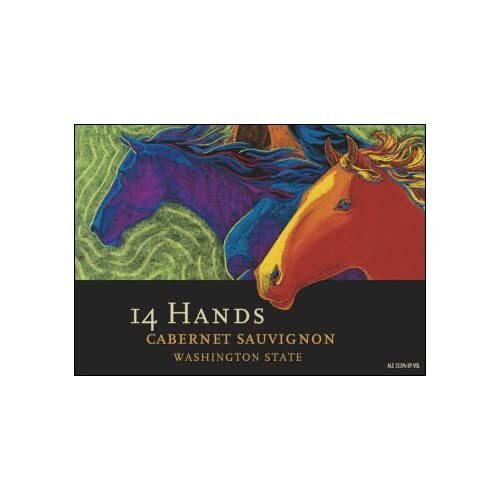 Before we left we asked what it was and it was 14 Hands Cabernet. The next night we were at another restaurant and asked if they had 14 Hands Cabernet, they did so we got a bottle for $24. After dinner we went to the wine store next door and picked up a bottle for $10. Later I got it by the case and it was most likely less than $9. So an entire bottle for what RC charged for a glass and most would think since it is RC it is high-end wine as opposed to a sub ten-dollar price point. As an NRA Instructor we don’t emphasize one thing enough in my opinion, the benefits of safety glasses. We mention the safety rules over and over, but only gloss over hearing protection and safety glasses. I was looking at a forum recently and a link was provided to yet another forum where a gentleman discussed a freak accident which happened with his semi-automatic pistol. 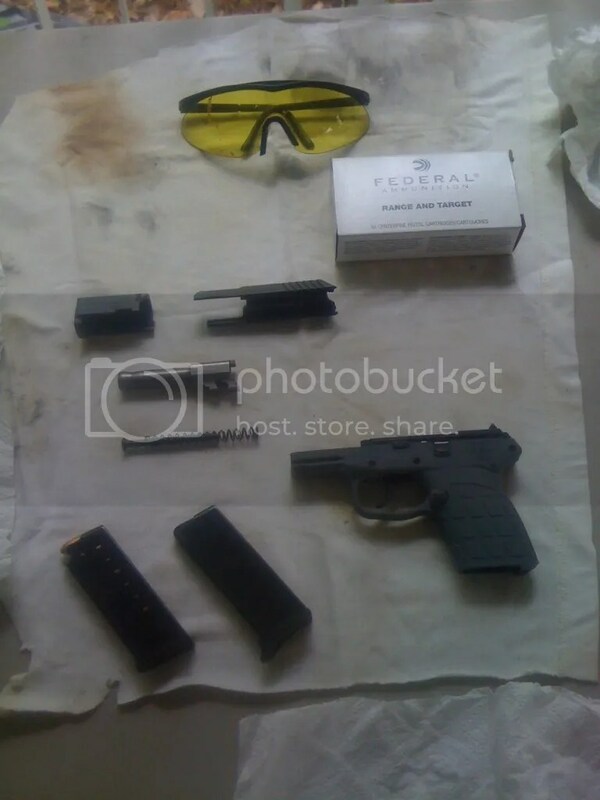 The slide separated while shooting and one half went downrange while the other came back and hit him in the safety glasses, deflected off hitting his face, nose and top lip. I believe his stitch count was 25 for the injury and had he not been wearing glasses he would have lost his eye. Here is a photo of that broken slide and the glasses with the blood still on them. I’ll save you the photo of his face, but if you are interested it was originally posted on BladeForums. Another reason for the eyewear is to keep brass from spent rounds from being ejected into your eye. I’ve been hit my brass from my own pistol as well as from those shooting nearby. Most of the time it does not hit the glasses, but having safety glasses on helps protect my eyes and I only have two. I’ve also been hit by a ricochet, but admittedly that was in the hand. Again, the glasses help protect my eyes since anything an happen. Also if you clean you glasses you can often find residue on them and they are protecting your eye from that residue. Recently on a forum someone was asking how to choose a concealed carry semi-automatic pistol which would fit into the pocket or the palm of the hand. 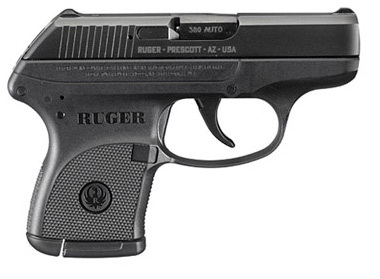 My only experience with them is the Ruger LCP (lightweight compact pistol) so I made a suggestion based on the limited number of rounds I had fired in the gun. First off it is important whether the pistol will be carried loosely in the pocket or securely in a holster. If the second than a pistol with a shorter/less trigger pull would be fine, but if it is to be in the pocket you really do not want keys or a pen or something else to accidentally discharge the firearm. The LCP trigger is a beast. You basically squeeze and then squeeze some more to fire the gun. In reality that is a good thing since you are only going to pull out a concealed firearm when there is no other available option and you want to be 100% sure you must fire the gun. Secondly the frame is so small that without the magazine grip extension I only hold the firearm securely with my middle finger and the extension allows my ring finger to engage the grip. With such a small frame the recoil is not pleasant, but do we really want a pocket gun to be a range love-joy or rather something functional on which we can depend. The magazine holds six rounds of .380 Auto and one in the chamber. In reality if you cannot do what you need to do in seven shots you should really rethink your ability to handle a pistol and whether or not you should be in the place where more than seven shots are required to stop the threat. Sure you could whip out the 9 mm with 15-17 in the clip, but why are so many shots required? You’re not Rambo trying to avenge those who drew first blood, you’re a girl or guy on the street who found themselves in a bad situation and are using the pistol to change the situation. As far as which pocket rocket to choose, that is fodder for another post on another day, but there is an excellent comparison chart developed by an Ace Hardware in Lynchburg, VA. In my opinion a .380 Auto is a fine cartridge for a pocket pistol. Some say it doesn’t have the stopping power of a 9 mm and to them I say a 9 mm doesn’t have the stopping power of a 38 special which doesn’t have the stopping power of a 357 magnum which pales in comparison to a 44 magnum. Our goal is simply to get out of a situation or stop a threat and for that the .380 is an excellent choice. The other night as I perused the list at a Taco Mac for my next Brewniversity choice I started thinking about the various programs at restaurants and beer bars for loyalty. Probably one of the first large-scale in NC was The Flying Saucer with a plate on the wall once you have 200 different beers. The Taco Mac variant is almost endless until you hit 1000 beers. Two World Of Beer locations have opened in NC and they have programs as well. At one time Brixx Pizza had a program. So why the programs in the first place? For one it creates loyalty to the restaurant and people return for the “perks.” When The Flying Saucer started the program the only perk until you hit the mark was a T-shirt and you paid $10 for it back in the day. Since they have changed the program and you get perks along the way to the plate and then can repeat the plate over and over. I have one friend who must be on plate 10 or 11 at the Charlotte location. I finished my plate years after I started when I became disgusted with the way the beers not being entered at the Raleigh location. I should have finished that plate in the first year or so and since I boycotted for a while I finished it just a few years ago. The problem with the programs is they push patrons to order something new. Let’s say you love a particular beer. Unless you do not wish it to count for the program you only get to have it once and have it count. I remember on the Saucer program I would pick a less expensive beer I did not want to have and would turn that in as my selection, but would actually order and pay for a more expensive beer I already had ticked off the list. It is a strategy that harms no one, but in reality does not pass the cheating smell test 100%. I hope one day to be able to offer a variety of classes to women, but what I have determined is you cannot simply show a pink gun or a gun with a pink grip and say that is the gun she should have. Women like a wide variety of firearms, some prefer military style, some like revolvers, some like the polymer wonders. So what pistol should a woman get, well first the one she likes the looks of and second the one which fits her hand. My wife can barely hold my Ruger GP100 with the 6″ barrel due to the weight, but has no problem with the S&W Model 36 J Frame or a Walther or Bersa. She can shoot the GP100, it just would not be comfortable past a shot or two. She had no problems with my H&R 9-shot 22, but did not like the western style and blued frame. I’ve realized picking out a pistol is like picking out a beer. You have to determine what a person likes as a baseline before you can suggest something similar but different to try. The issue with guns is the price of admission can make it prohibitive to try too many. My wife never met a Kimber she didn’t like the looks of, but every time I tell her the price she quickly decides it’s not something she is interested in purchasing. This year for the Beer City USA poll cities were allowed to be nominated. In case you were sleeping under a rock Asheville has taken the title three years in a row (and rightly so). This year they decided to allow nominations and to not have write-in votes. As it stands two other NC cities in addition to Ashevegas made the list, Raleigh and Charlotte. Now personally do not believe either of these two new additions is worthy of the Beer City USA title, but especially not Charlotte. Let’s decide to have a brewski other than BMC in Charlotte. Ok, where to go (insert head scratching sound here). I hate not giving my buddies in Charlotte a nod, but you can either head to the University area, over to NODA, perhaps a spot or two downtown, Steel Creek and finally Ballantyne. The other problem is once you get to those areas the selection of establishments just isn’t vast. The brewery scene is improving, but at last count they had four micros and one brewpub. Not quite a brewery on every corner when you consider how large the population of Charlotte has become. Oops, I forgot the brewpub in Matthews, but in reality that is quite a drive to the West to get there, let’s call it Charlotte anyway and bring the total to two brewpubs. There are some breweries in planning, but for Charlotte to equal Asheville they would need about 50 in the area. I hope Charlotte eventually gets there, but it probably won’t be anytime soon. So if you are voting May 1 through 13, throw the vote to Ashevegas and don’t muddy the water with Charlotte and Raleigh. I mean when you think of heading to a beer city do Raleigh and Charlotte immediately come to mind? So I received my ammo order from a few days ago. 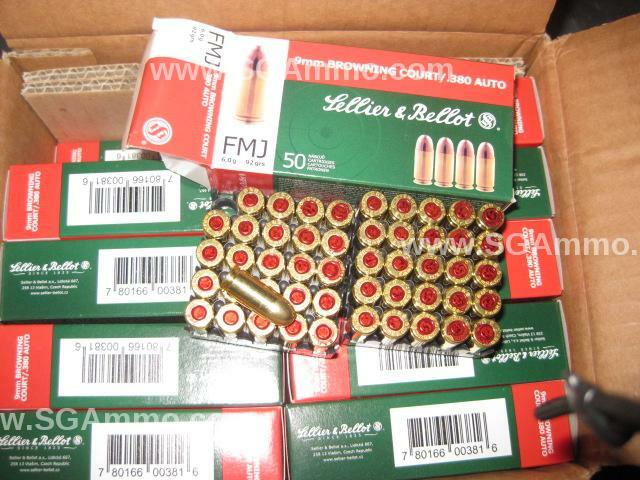 What I did not divulge was I had added on some .380 ammo to the order since it was at a great price. When the boxes arrived they were marked “9mm BROWNING COURT / .380 AUTO.” I immediately took a cartridge and compared it to some of my dummy ammo and it was of course the same. I figured it was time to try to learn something so what I found was what we commonly refer to as .380 Auto or .380 ACP is actually 9 x 17mm developed in 1908 by John Browning for the Colt Automatic and originally called .380 ACP (Automatic Colt Pistol). No the “Court” label on the box is French for “short.” By contrast the popular 9mm Luger is actually a 9 x 19mm and of course the Makarov is 9 x 18mm. If you want to be sure you are getting .380 Auto look for 9x17mm Browning, 9x17mm Browning Short, .380 ACP, .380 Auto, 9×17 Browning, 9mm Browning Short, 9mm Short, 9mm Kurz, and 9mm Court since the package may be labeled differently depending upon the country of origin. So don’t fret if you order some .380 Auto ammo and get some 9mm Browning Court, you got what you ordered, just with a nickname. I’ve been trying to give some love to Clown Shoes Beer by going through their lineup of bombers available at our local Total Wine. With price points from $5 to $8 and a TW coupon for a buck off per bottle I filled the basket with all the store had to offer. I believe my lineup included Hoppy Feet 1.5, Tramp Stamp, Muffin Top, Vampire Slayer and Blaecorn Unidragon. I still have to give the last beer a whirl, but thus far I have found all the beers are solid, but none have blown me away. The artwork is cool and all that jazz, but I believe what too many breweries lose sight of is the product in the bottle they are passing to the consumer. Now don’t get me wrong, there is absolutely nothing wrong with any of the CS beers I have tried thus far, it’s just they don’t excite me and the problem with creating something like a Belgian IPA is you are not aiming for the run of the mill beer drinker, you have set your sights on the beer geek in the crowd and if you don’t scratch their itch they will look elsewhere to find a backscratcher. Tonight I’ll pop the top on the Unidragon and give it a whirl, but I suspect based on the other four my own personal clown shoes will never leave my feet which will make it impossible for the beer to blow my socks off. Final question that came to mind is what is up with all the weird Unidragon, Vampire, Tramp, Muffin stuff? I like brewery with a theme and interesting beer names, but I don’t get it. Must be a MA thing. Yesterday I participated in the Instructor Development Workshop led by Ed O’Carroll for Refuse To Be A Victim. Yet another certification is finally under my belt. I had been trying for quite some time to find an Instructor course close by or to be able to register for the online course, but it always seemed to be just out of my grasp. Yesterday NC got nine newly minted instructors and VA received two. 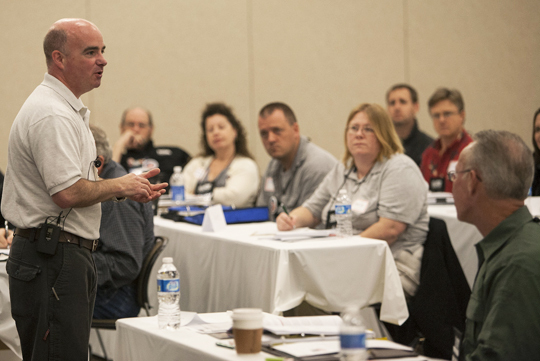 The day began early in Southern Pines with a four-hour workshop for attendees followed by the instructor training. One of the new instructors is the youngest in the country at 18 years old, quite an accomplishment! If you are not familiar with the Refuse To Be A Victim program it is generally a four-hour seminar where you can learn the personal safety tips and techniques you need to avoid dangerous situations and avoid becoming a victim. While the program is administered by the NRA, it does not include any firearms training. The concepts and ideas presented in RTBAV allow people to develop their own strategy for personal, home, automobile, workplace and internet security. It will be a few weeks before my credentials process, but if you would like to discuss a potential seminar most anywhere in North Carolina, please let me know by posting a comment. This week I made another The Weekend Starts on Thursday gathering at Backstage Brewing and while there we discussed my adventure with Genesee Cream Ale. All of a sudden out comes a partial sixer of National Bohemian. I wasn’t even aware Natty Bo was still being produced and cannot even recall the last time I had one. According to the website the beer was first produced in 1885 and ceased production during Prohibition, but resumed after and was one of the first to package in 6 packs once canning came into vogue. So how could I resist a national treasure when one was produced for me to take with me as I was about to depart. Ray could have been beer dumping on me, but I consider it an honor! Since I still had not gotten to dinner I decided to wait until I returned to my lodging for the night. After I settled into my hotel room I secured a squatty hotel glass (surely this is the proper glassware for Natty Boh?) and we were off to the races. It probably would be better to have the beer on a clean palate to properly evaluate, but I found that after sampling the beers at Backstage, and a pint of New Belgium Dig and Sam Adams Alpine Spring accompanied by a pimento cheese and bacon pizza on whole wheat crust the Natty’s came off as a little vinous, or slightly winey. Certainly had an underlying bit of sweetness and very thirst quenching. Reminds me I might need to try some of the beers of old once again. Someone posted a comment recently about Mickey’s Big Mouth. I cut my finger more than once on those tab top glass bottles, best thing they ever did was to go to the twist off tops!